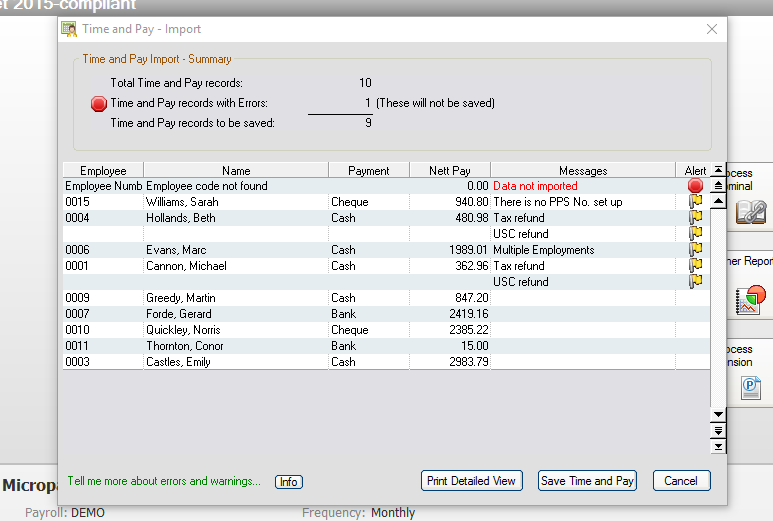 Using the Sage Micropay report in Bizimply. You can use the Sage Micropay App in Bizimply to download a Micropay friendly formatted file that you can then use to upload directly into your Sage Micropay payroll. Click on your name/email in the top corner. Choose App Center from the drop down menu. Find the Sage Micropay App that is listed and click on "Get"
Once installed click on the options icon. 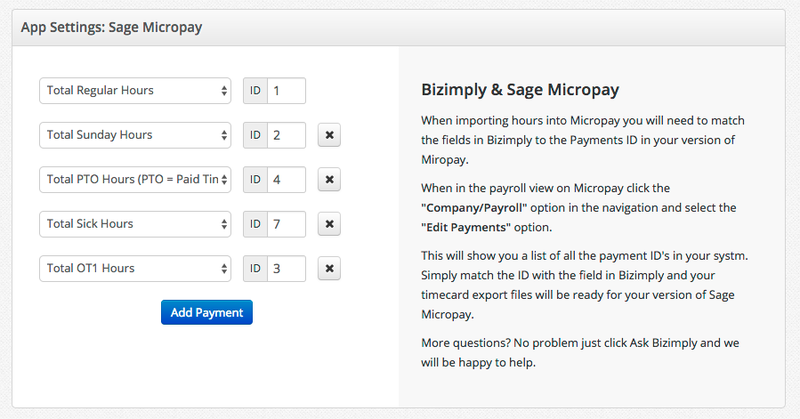 Here you will be able to match up the payment ID's in Micropay to the export column in Bizimply. To find the payment ID's in Micropay click on the Company/Payroll option and select Edit Payments from the drop down menu. 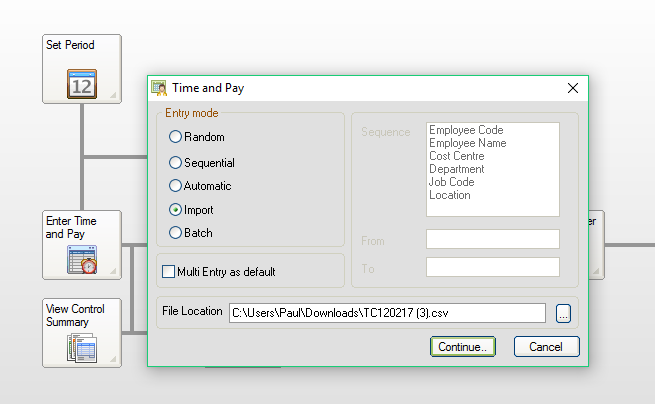 Once you have the export customized to match your Micopay payments you may wish to check that your employee numbers in Bizimply are identical to the works numbers in Micropay for each employee. These must match exactly as they will be used to identify the employees in the import. 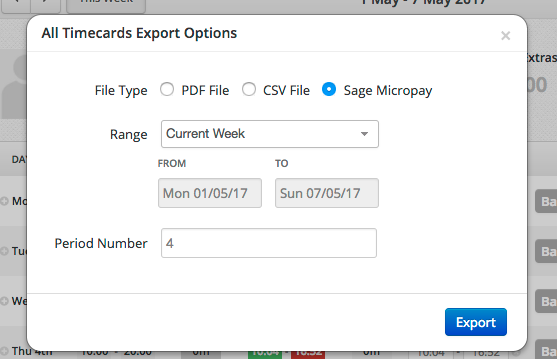 You can now see an option to select Sage Micropay when downloading the Employee Timecards Export. 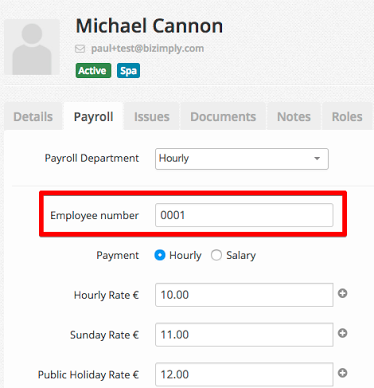 When you choose this option you will also notice there is a section to input the period number. 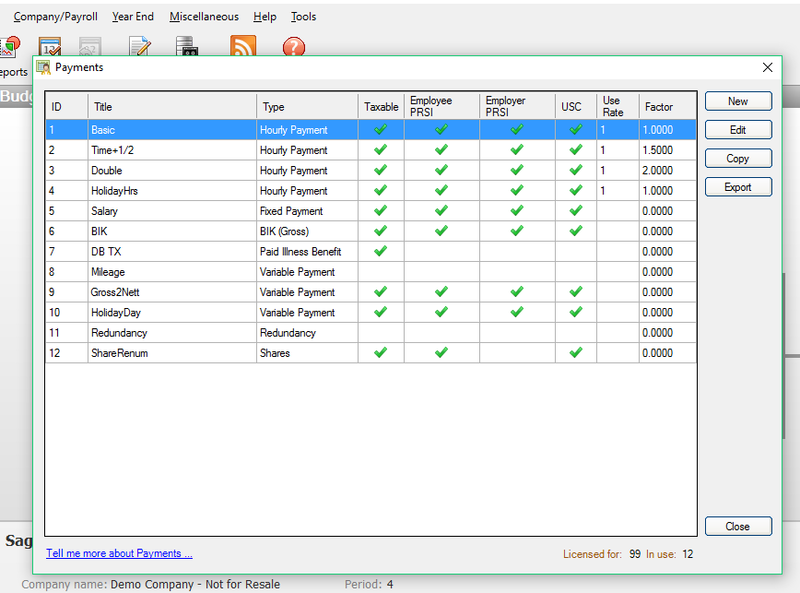 Input the current payroll period that can be found in Micropay. Ensure the date range is correct and select "Export" to download the file. 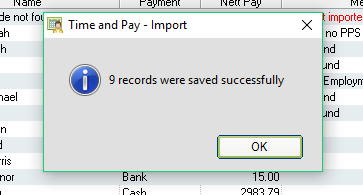 Finally, import the downloaded file directly into Micropay by clicking "Enter Time and Pay", choosing "Import", selecting the file location and pressing "Continue..."
Then you can view the details of the import and choose "Save Time and Pay"
You will get a confirmation message with the number of records updated. Note: if you choose to open this file in Excel prior to the import you may lose leading zeros in columns which could cause the import to fail. We would always recommend double-checking the imported hours after the import using the edit Time and Pay >> Batch option to have a quick look through and ensure these are correct with the hours in Bizimply. If you are having any difficulties with the setup or the import please let us know and we will be sure to help you as best we can.